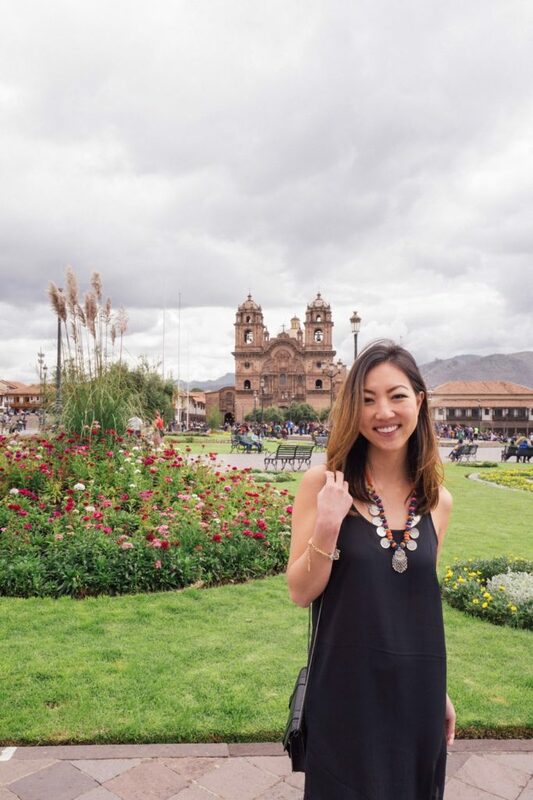 If you were to ask what city I loved the most, out of all 6 cities visited in South America Cusco was my favorite. 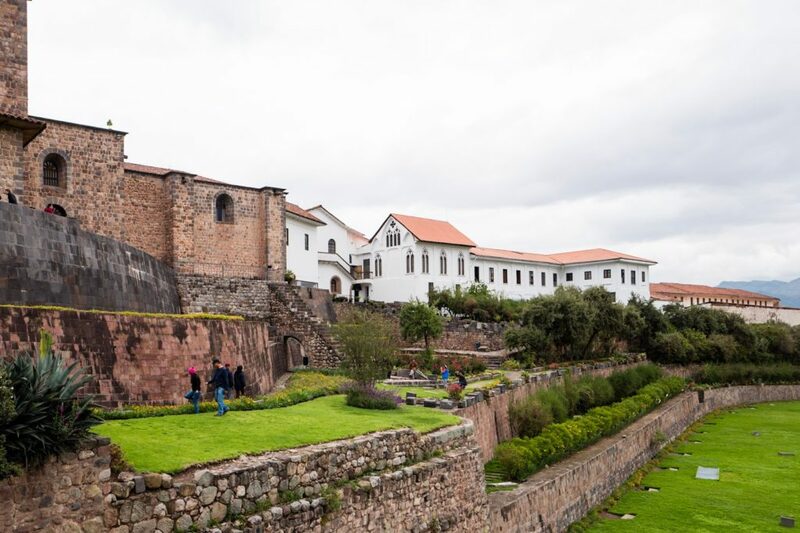 Cusco is one of the oldest cities in South America (founded in 1100) and was the capital of the Inca Empire before it’s invasion by the Spanish. Architecturally, its easy to get a sense of all the historical impact just from walking around. 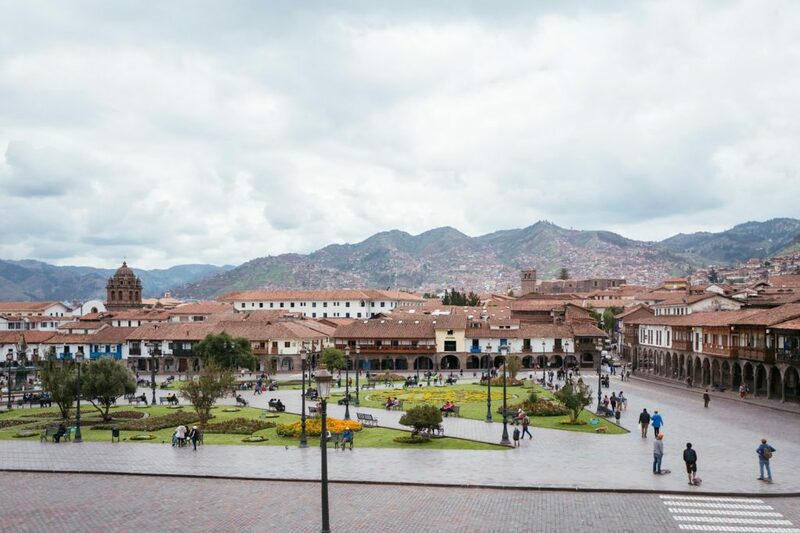 Cusco is full of narrow/cobbled streets, Incan, colonial, and Spanish architecture, plazas surrounded by buildings from different eras, and locals dressed in traditional quechua clothing. There was so much to explore in this quaint city and I loved wandering around and walking into all the random storefronts. 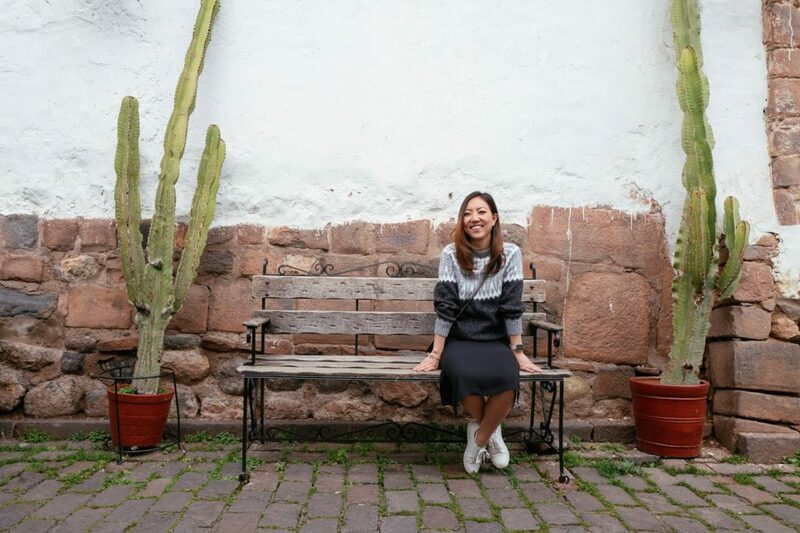 During my time in Cusco, I discovered some things that I wish I knew prior to traveling, so I’ve shared them below so you can learn from my experience. Bring change in small bills: most locals that sell you stuff on the street or market will hustle you. They’ll tell you a price, and when you give them a bill they’ll frequently say they don’t have change. This happened to me several times and I kept getting ripped-off because I’d pull out bills from the ATM and although what I kept purchasing was a fraction of the price they’d claim they don’t have change and just keep my bill. 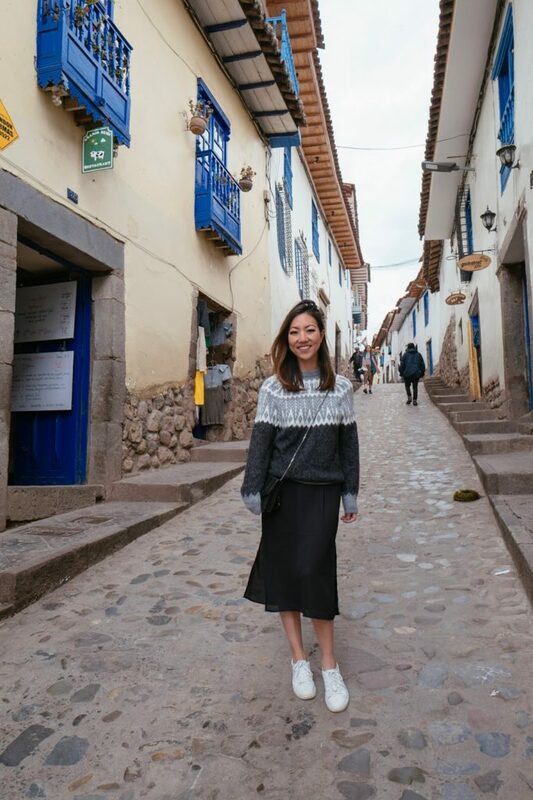 Pictures cost money: In Cusco, it’s rude to take pictures of locals (especially those in traditional Andes clothing) without offering money. 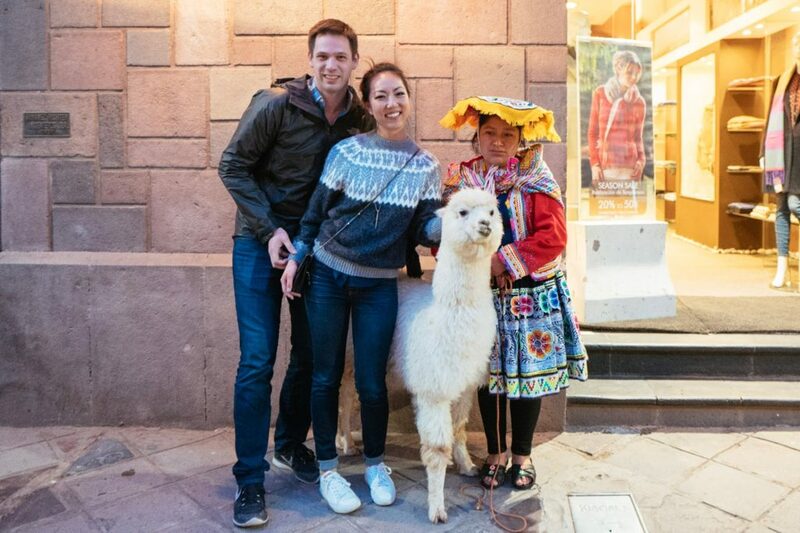 There are also locals who walk around with alpacas so you can take pictures with them, but this also cost money. Hence, carry change with you. Alpacas galore: The city thrives on alpacas. 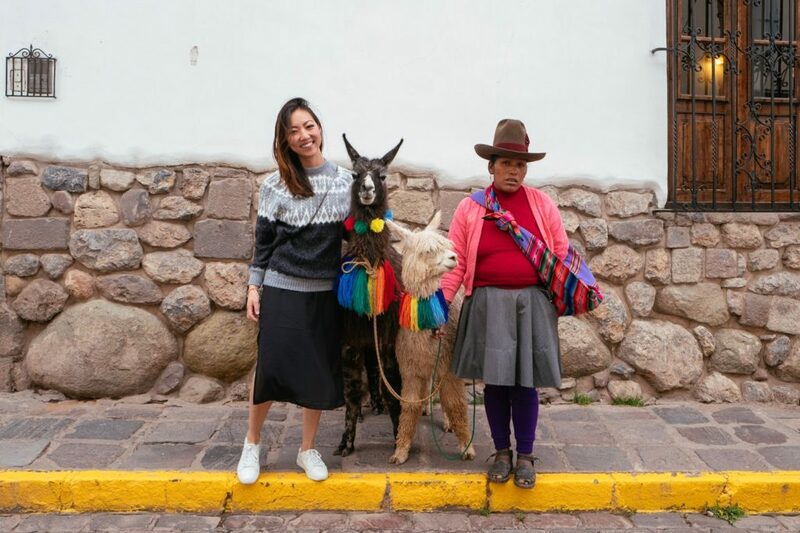 Almost all markets have alpaca souvenirs, lots of businesses have some sort of alpaca symbol/logo, you can buy almost anything wearable made of alpaca wool, and even order alpaca meat at restaurants. I had the most fun buying an alpaca wool sweater because it was so soft, comfortable and only $13 USD. Coca tea: Order this everywhere you go. It’s an herbal tea made of coca leaves that’s very soothing, tasty, helps with headaches, and even helps prevent altitude sickness. In terms of taste, it reminded me of green tea but earthier. I wish we had this in the states. 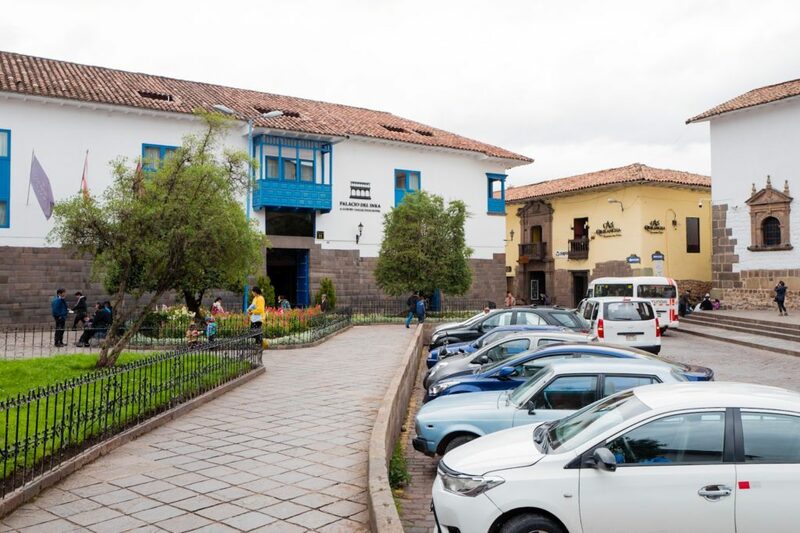 We stayed at Palacio del Inka in Cusco. I highly recommend this hotel. It was very clean, spacious, had excellent service and was situated in a convenient location walking distance from many stores, restaurants, and plazas. 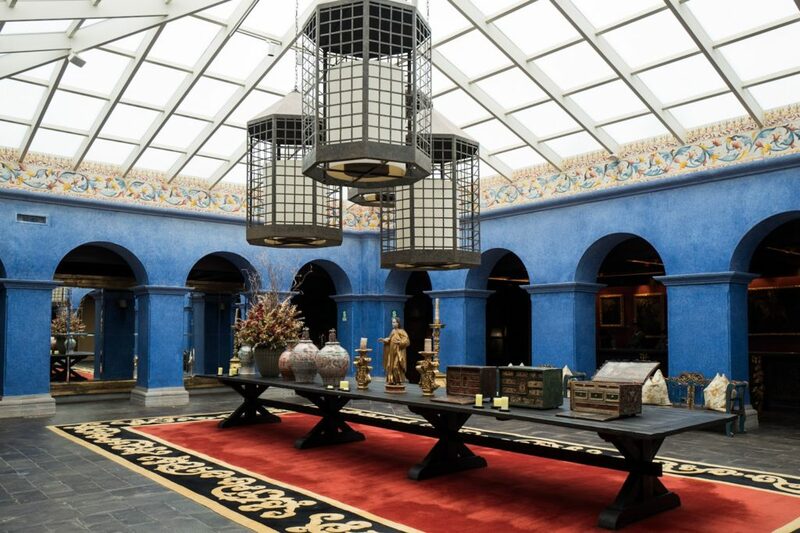 The lobby of the hotel reminded me a lot of Aladdin. Our room was a lot more modern, but I appreciated the overall vibe of the hotel since it was more unique. Plaza de Armas. 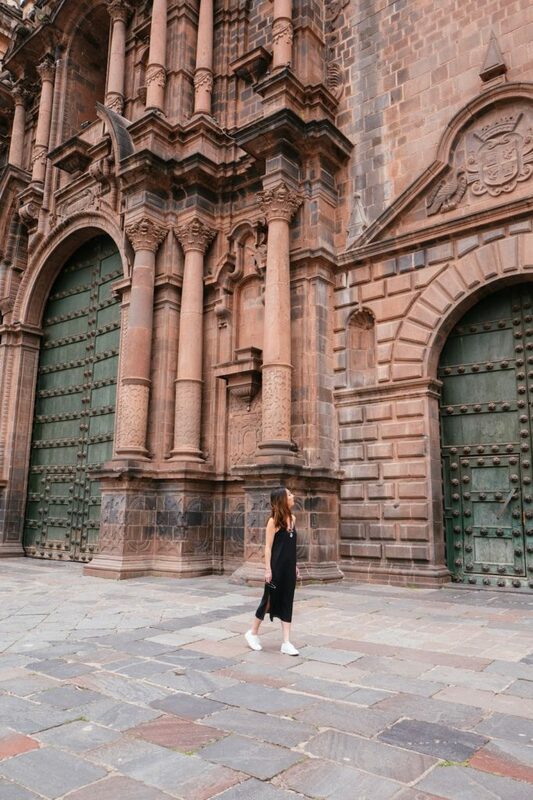 A must-see in Cusco. Full of shops, restaurants, bars and random attractions from the locals that live there. 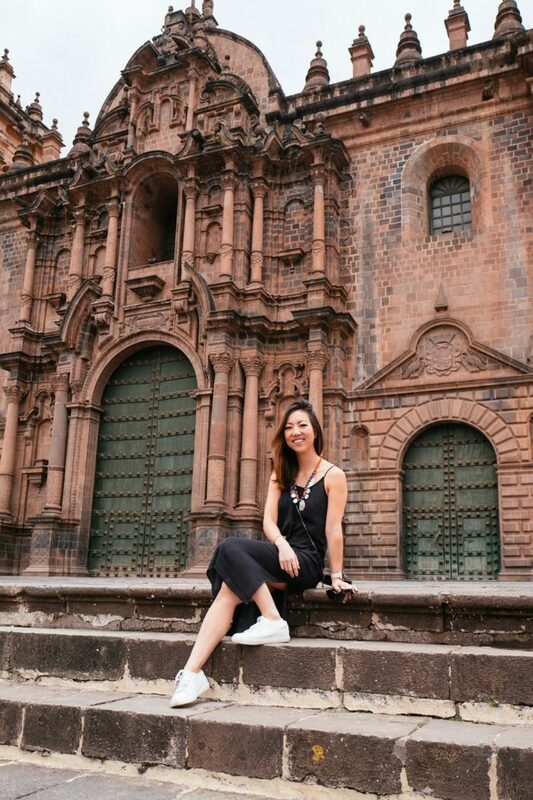 In front of the Cusco cathedral which was built in 1560. A facade worth hurting your neck for. Gothic-Renaissance style mixed with baroque influence. 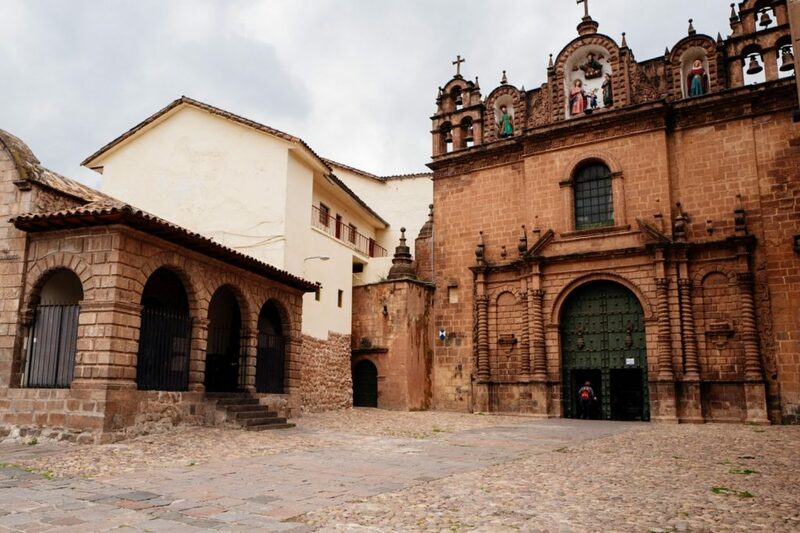 One of the smaller facades on the left wing of the Cusco cathedral. When traveling, I’ve learned to pack more basic clothes and instead accessorize through jewelry since it takes up less space. I bought this necklace from Santiago, Argentina. I was in love with all these streets filled with random alleys. Quri Kancha, the most important temple from the Inca Empire dedicated to the Sun God. Another local who hustled us for a picture. She was a lot nicer about it though, but I don’t think the alpaca was very happy because he sneezed in my face! and that concludes the end of my South America trip. Thanks for the wonderful experience. Great post! Thanks for sharing these beautiful photos and helpful tips.